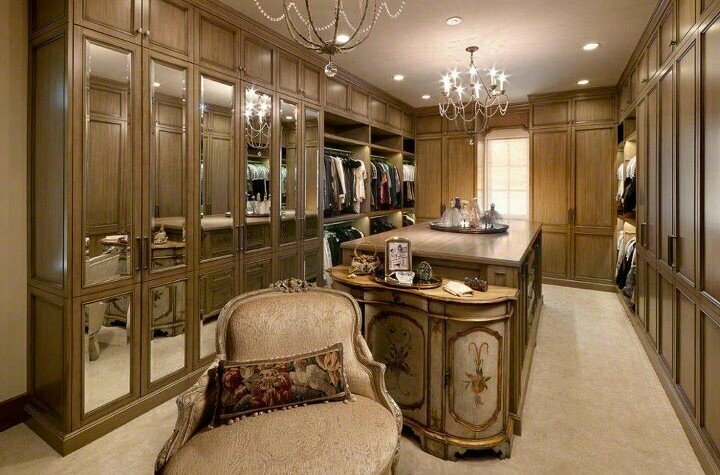 Many women dream of having a walk-in closet that is spacious enough to house their entire wardrobe and includes a touch of luxury. The ideal walk-in closet has space for handbags, shoes, sweaters and lingerie in addition to plenty of room for hanging clothing. 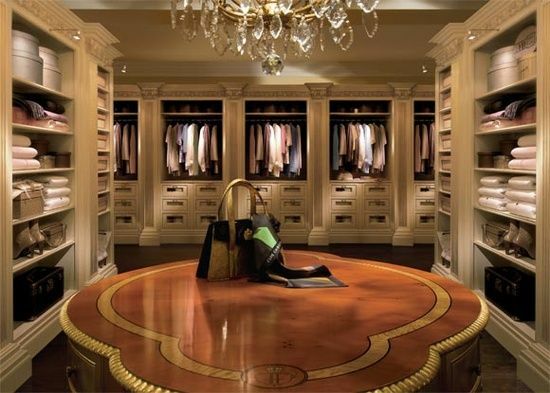 Here are some luxurious yet functional walk-in closets that contain all of these things and more. A seating/dressing area in the walk-in closet offers a space to briefly sit when putting on shoes or taking a break when deciding on outfits for the week. 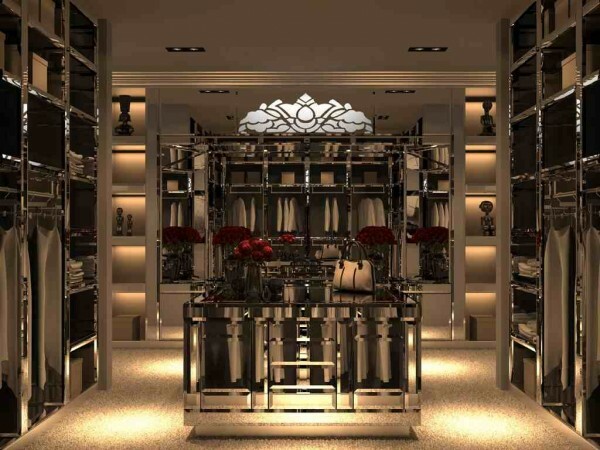 It gives the luxury walk-in closet a touch of panache and even offers a space for friends to sit while you try on new outfits. Enjoy a cup tea in the morning as you gather the day’s wardrobe. A luxury walk-in closet includes a space for everything. 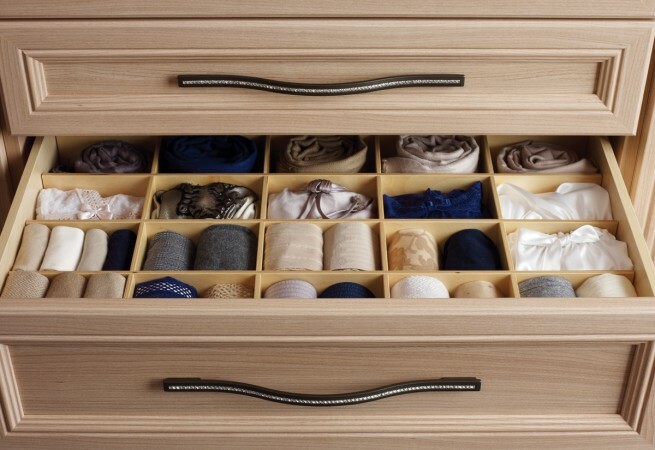 There are plenty of rods for hanging clothing, shelves for sweaters and other delicate clothing and cubbies for lingerie and accessories. 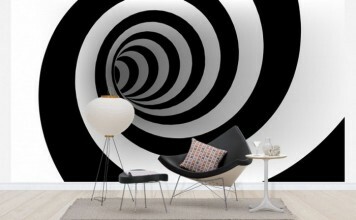 There are areas for shoe storage and handbags. 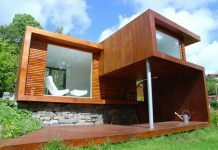 The space will also include a seating area, be it just a small ottoman or a chair and table for resting the morning beverage while planning the day’s outfit. 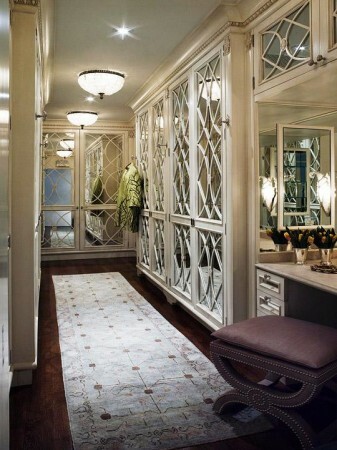 A luxury walk-in closet is not complete without a touch of glamour. 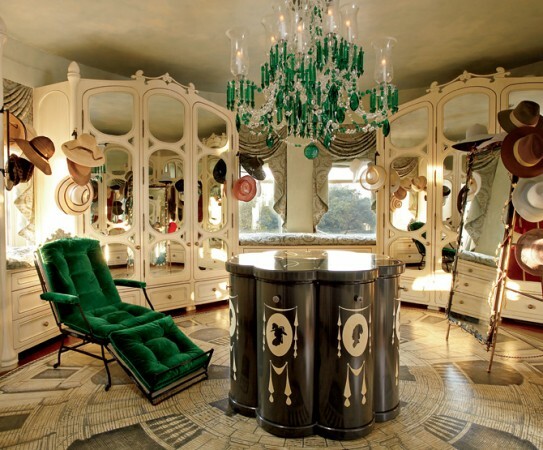 Think beautiful chandeliers dripping with crystals, lush curtains, ornate architectural trim, elegant seating and plush carpet. 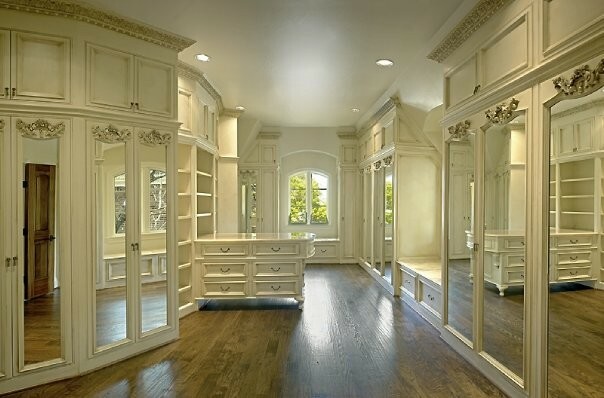 Many walk-in closets include a center island for accessories and lingerie storage. 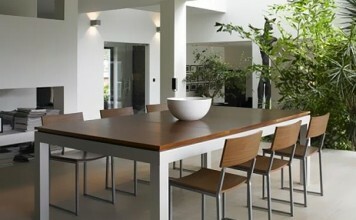 This space performs double duty as an extra surface as well as containing drawers for a variety of items. 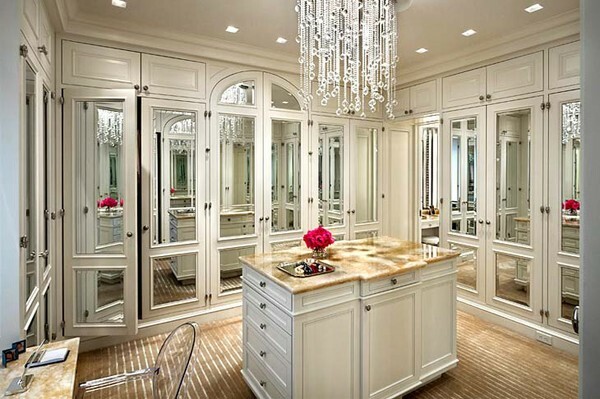 Add a bit of glamour with a mirrored center island or top with marble. 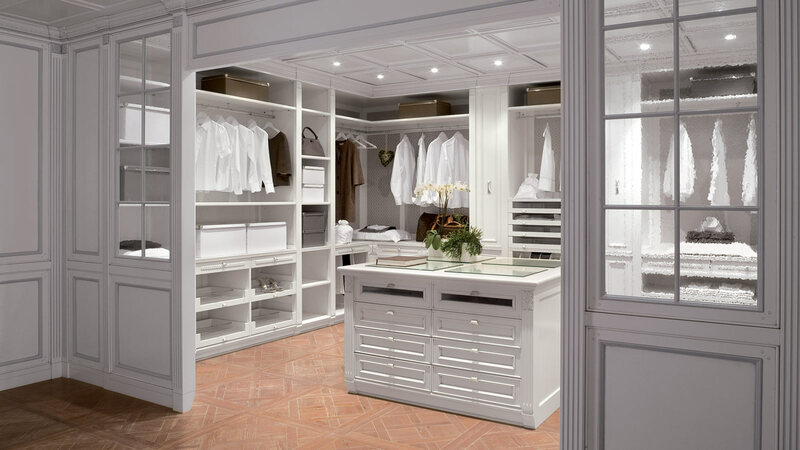 The luxury walk-in closet has an overall sense of style. 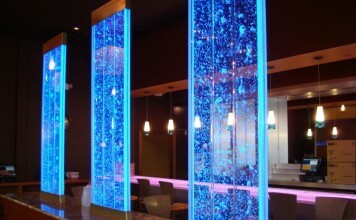 It provides a space for everything so that it can be neat and organized. Adding luxury touches further enhances the closet, making it not only a place for storing your wardrobe but for a bit of fantasy, if you will. 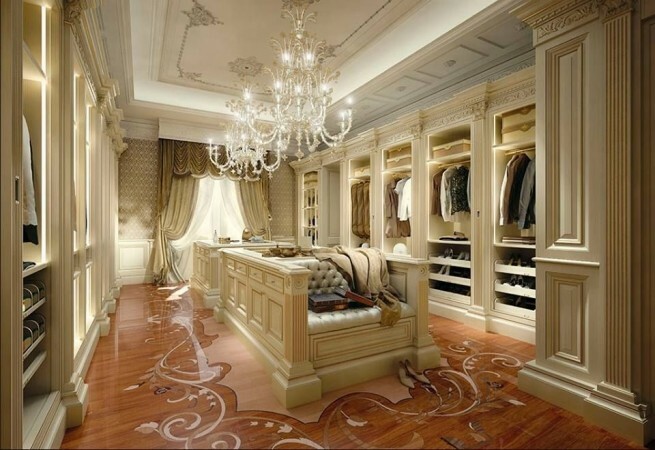 The luxury walk-in closet is often imagined. If you have an extra bedroom, you can transform it into a closet with all of the glamour and function of these luxury spaces. 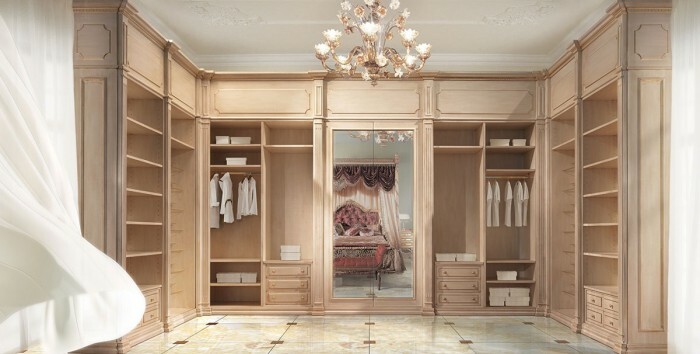 The luxury walk-in closet…why not try one on for size?